Sanjeev Nanda, Indian hotelier and restaurateur, now a prominent Dubai-based entrepreneur, invests in ISHVAN Pharmaceuticals Limited to develop the local pharmaceutical infrastructure in Russia. The primary focus of the pharmaceutical company will be to develop, manufacture and provide a wide range of innovative and affordable medical equipment, diagnostics and medical drugs to new pharmaceutical markets around the world. Sanjeev Nanda established the Taj Hotel in Dubai and furthermore brought in 'Billionaire Mansion'. Taj Hotel which is situated in Burj Khalifa Street consists of 296 lavish rooms and offers its guests with a rich mix of traditional influences and Indian artistry. He has successfully run big organizations across different sectors like hospitality and hotels, heavy engineering, food and beverages, IT and others. In December, 2016, he took a surprising move by selling 'Claridges Dhaba' to Azure hospitality, a Pan-Asian dining chain with investments from Max Ventures & Industries Limited and Goldman Sachs. Mr. Sanjeev Nanda, Managing Director of ISHVAN Pharmaceuticals will bring in valued guidance and growth to the company with his entrepreneurial skills and strategies. With a total capital investment of US $60 million for the Russian project, ISHVAN Pharmaceuticals will adopt a phased approach to meet its ambition. Firstly, it will aim for the markets in Russia and Eurasia and then, focus its attention towards emerging markets in Africa and Asia. Apart from introducing world-class assistance, turn-key solutions and expertise, ISHVAN Pharmaceuticals will also aim to create a state-of-the-art pharmaceutical infrastructure in Russia and offer access to latest generation of medical drugs in Hepatitis, HIV and Tuberculosis. ISHVAN has entered into negotiations with different Indian pharmaceutical companies so as to obtain the technology required for manufacturing and development of drug substances (API) and finished drugs (FDF). Some of the companies to enter into the negotiation include prominent names in the field of pharmaceuticals like Cipla, Laurus, Myla and others. Apart from that, ISHVAN has also acquired MAs (Market Authorization) from existing players in the Russian market like Rowtec and Cannon which in turn will create present and future based revenue systems. ISHVAN will presently pay attention to some niche segments like HIV/AIDS, Hepatitis and TB where the market size is expected to be $420 million. According to reports by different agencies, Russia is the eighth most HIV populated country in the world where nearly 70% of the patients don't have access to medicines and ISHVAN's initiative will definitely help Russia fight this growing epidemic. ISHVAN will focus on introducing latest generation of products into the Russian market so as to achieve better treatment goals at affordable prices. In its next phase of development, ISHVAN headed by Sanjeev Nanda, will shift its attention towards the Eurasian market focusing on innovative treatment options and developing new platforms for areas like vaccines, blood products, oncology as well as biological drugs. 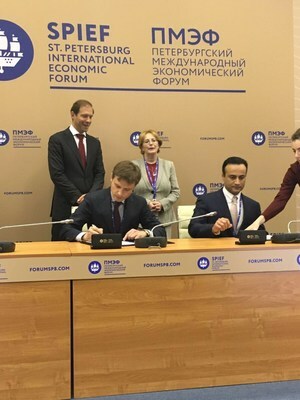 Also ISHVAN will try to establish API production of its own within the Russian Federation to eliminate its dependency on suppliers from outside the country. All these efforts will certainly help in discovering and manufacturing effective vaccines, medicines and services which will improve the well-being of patients. It will also contribute significantly towards protection and quality of life as well as make further advances in global health issues. ISHVAN Pharmaceuticals is a fully integrated pharmaceutical company lead by Sanjeev Nanda, which aims towards the production, development and supply of varied innovative and medical drugs, devices and diagnostics to emerging pharmaceutical markets throughout the world. The company aspires to bring in expertise and turn-key solutions to different geographies and therapy areas through its competence, skills and network of partners.